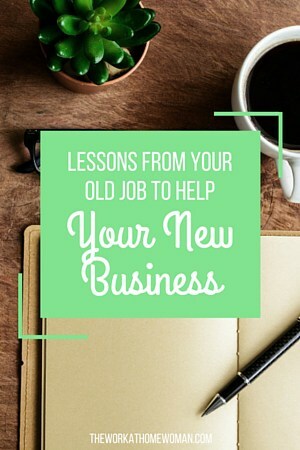 You're ready to start your new business and leave your old job behind. You should be excited for this new chapter and proud of yourself for taking the next step. What you may not realize is that everything you learned working at your corporate job can now be used to succeed in your new business. The challenges you faced don't have to go to waste, and you can take advantage of using them for the greater good. Take a look at the following experiences you've dealt with and how to apply them to your new life as an entrepreneur. There is nothing worse than worrying about running late due to traffic or getting your child ready for daycare. Working a 9-5 job with no flexibility can be frustrating as you desire to have freedom in your schedule. You have now decided that you are going to start your own business so you can have more control over your schedule. That's great! However, now that you're working towards a more flexible schedule, you will still want to discipline yourself in getting into a routine that will not only benefit you but also the needs of your business. Do you ever remember hearing that “you are the face of the company”? You may have despised working for the company, but the statement still holds true. The amount of respect that the business receives is determined by the people who represent the company. So as you are starting your new business, take a look at what kind of impression you want to advertise to current or prospective clients, even the people with whom you'll work. Your business will surely be heading in the right direction if you get started on the right foot. It may become easy to start slacking now that you have more control over your daily activities. Don't be fooled. You may not be getting your paycheck from a boss anymore, but this doesn't mean you can be lazy. You still want to make sure that you are putting in enough work so that at the end of the day, you will know you deserved every cent you earned. Even if you are the only one who knows. In most jobs, you are required to take new classes and stay up-to-date on them. Now that you have your own business, you will find the constant need to learn. Since the time I started my blog, I have noticed that a lot of my time spent has been through researching and learning how to do things. That is how you will succeed. Learning is something that will never run out. We are constantly growing and can always learn something new whether we choose to apply it or not. Most people become too comfortable in their current position. They may stay there long due to the lack of self-value or determination. Whatever the reason, you don't have to be stuck. Your boss wasn't always in the position he is in now. He had to start somewhere, and that is exactly what you are doing. You are starting somewhere. That is the first step. Think of it as you are now on your way to a promotion. You just need to recognize your self-worth and stay determined to work hard and succeed. You may find yourself making mistakes and falling at times. That's okay. As long as you get back up and keep going, you are heading in the right direction. Everybody likes to walk into a business and see a neat and clean office. If your boss required you to keep your workspace tidy, you probably can relate. Although staying organized can mean physical appearance, it can also be hidden among your daily workload. The way that you schedule your activities or meetings can be a perfect example to show if you are organized. Get started the right way with your new business by planning and getting things in order. If it doesn't seem necessary at first, you will soon find the need to do so once your workload begins to increase. This is probably one of the major reasons why I couldn't stand going to my corporate job. The idea of someone constantly breathing down your neck and affecting your performance was gut wrenching. People need to be free to express their creativity and not feel as if they are walking on egg shells. So as you enter your new position as a business owner just remember the feeling you got every time you were micromanaged. You can still make sure that the job gets done while being the motivating boss that people want to be around. No matter what your position was, I am sure you found yourself having to deal with people throughout your day. It may have been constant interaction with your co-workers or providing excellent service to your customers. Whatever the case may be, you now have gained experience with dealing with people. In every business, there is a need to have good communication skills. You may have run into situations where you clashed with a co-worker and had to use conflict resolution. Maybe you dealt with an irate customer and had to resolve the situation. Being able to do any of these shows that you are prepared and equipped with the necessary tools to interact with others. In sales jobs, you will find yourself having to meet sales quotas to keep your performance level up. Maybe you're in a management position where you are required to meet report deadlines. Meeting goals and setting deadlines play a big part in success. It is a way to hold yourself accountable as well as to stay motivated. Set goals in your new business to stay on top of things and measure your progress along the way. Being a workaholic will not add any more value to your life than you already have. You will find yourself stressed out and losing passion for what you do. Take necessary breaks throughout your day and vacations during the year. Make sure that you prioritize your family to come first before work. One of the biggest mistakes companies make is overworking their employees to the point that they become bitter or even quit. So now that you have more freedom in your life through your new-found business, remember: Work to live; don't live to work. You're now on your way to new beginnings and new experiences. At times you may not have the answers but will always have the opportunity to learn along the way. 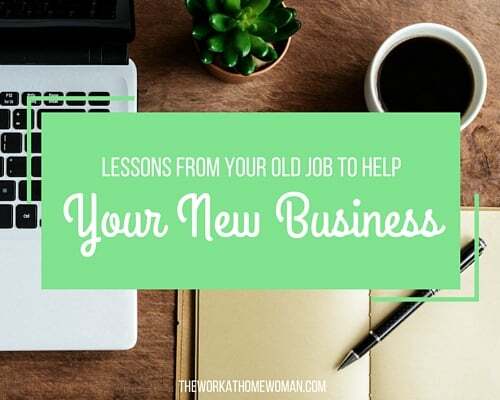 What did you learn from your previous job that has helped you in your new business? Lorin is a woman of faith who always has something to be grateful for and something to be learned. She desires to influence others by sharing life’s experiences on her blog, My Story Defined.